If you read much about wine, visit many wineries, or even read a few wine labels you are bound to run into the term "Terrior" (pronounced Ter-WAHR). This term refers to the elements of the natural environment that have an influence on a wine. 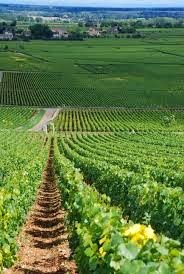 It is the "sense of place" of where the wine grapes were grown such as the makeup of the soil, the type of terrain, and the climate. The amount of clay or minerals in the soil, the amount of slope of the hill where the grapes grow, and the weather all contribute to the taste of the wine. To some degree, even wine making traditions of a particular area are part of a wine's Terrior. Your Climate. A big tannic red wine on a hot day will taste different than on a cooler or even a cold night. A chilled white or rosé is better for a summer day that for a cold winter's night. Your Mood. If you have had a bad day, or your favorite TV show was just cancelled, it may not be the best timing to try a expensive, wonderful wine. If you've had a great day, or maybe are enjoying a vacation in wine country - the wine will probably taste better than it will on any other day. Wine Temperature. In addition to the temperature you are experiencing as you drink the wine, the temperature of the wine itself will have a huge impact on the flavor of the wine. Your Focus. If you are sitting down alone or with a significant other and really concentrating on drinking wine - trying to identify aromas, levels of acidity, sweetness, and tannin, it will be a completely different experience that tasting a wine while watching a game, a movie, or at a party with friends. Your Health. Your mouth can only detect five tastes, but when aroma is added to the mix it opens it up to thousands of flavors. A cold or even a hint of allergies will deaden your ability to enjoy a wine. Even if your nose isn't impacted, but you just don't feel well - it will impact your enjoyment of a wine. If you taste a wine you expected to like, but found it disappointing - think about the Terrior of Drinking and consider trying the wine again in a more wine-friendly situation. You may have tried a potential gem of a wine that you wouldn't want to disregard because of a bad day or record breaking temperatures. Also, when enjoying a vacation of wine tasting, before you buy cases and cases of a wine you liked - consider for a moment that it may be the situation that is making the wine taste better, and that the wine may never taste as good as it does today. It may be an awesome wine, just have one more drink and really concentrate on the taste and flavors of the wine - and try to block out the other factors that may be making the wine taste even better.